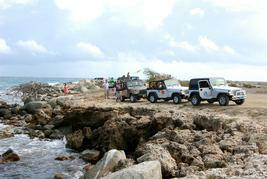 Explore the stunning island of Aruba on a four-wheel drive jeep! 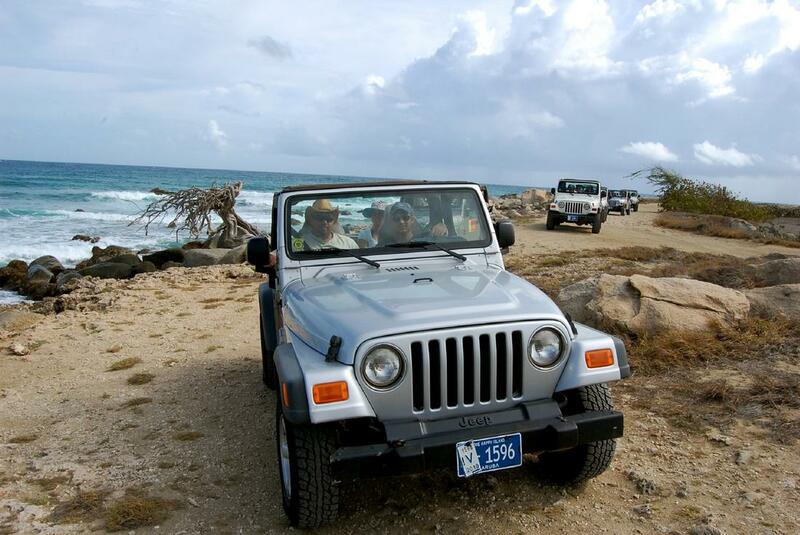 All jeeps are automatic and seat four people. 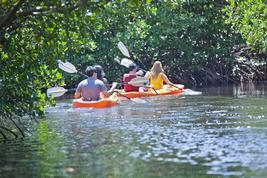 Follow your tour guide on an exciting, bumpy ride to the first stop on the tour, the California Lighthouse, named after a ship called the Californian. After the California Light House make a short stop at the Rock Garden, a garden of stacked rocks created by tourists over the past years. 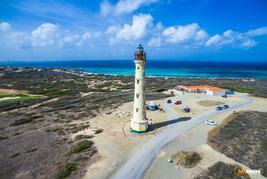 The next destination is the Alto Vista Chapel, built on the site of the first Catholic Church ever constructed in Aruba. 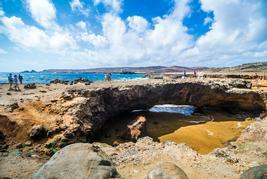 After the Chapel you will travel to the Baby Natural Bridge a formation of coral limestone cut by years of pounding surf. Your next stop will be the Bushiribana gold mill ruins, where you might find some hidden treasure! Your last stop brings you to the Ayo Monolithic Rock Formation to see ancient Indian drawings by the original inhabitants of Aruba.